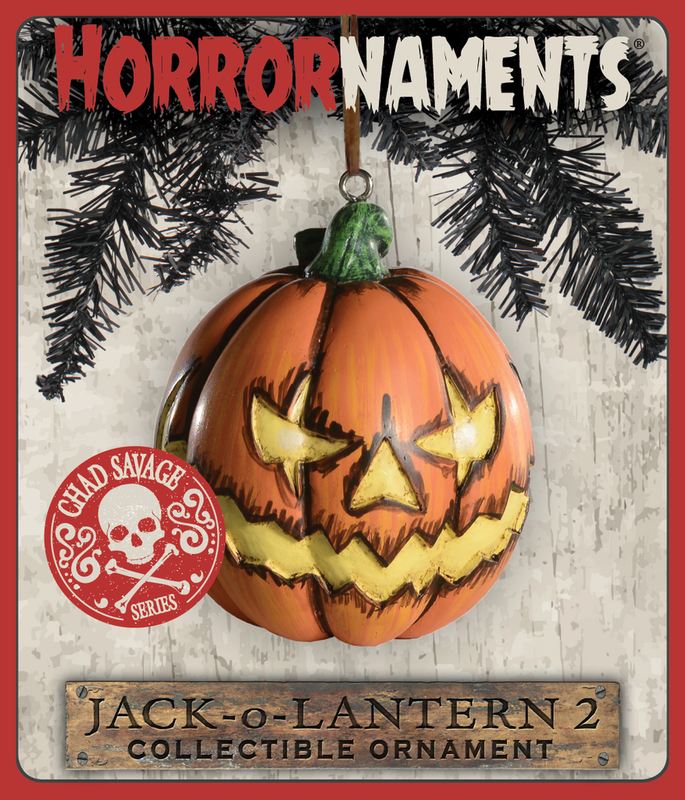 Sinister Visions News and Updates: Jack O' Lantern Series 2 from HorrorNaments, Designed by Chad Savage, Now Available to Purchase! Jack O' Lantern Series 2 from HorrorNaments, Designed by Chad Savage, Now Available to Purchase! Earlier this year HorrorNaments tapped me to design an ornament for their second series run of products, so naturally I came up with a "Chad Savage" jack o' lantern, which you can now get (along with many other very cool designs) to spookify your Christmas tree and celebrate Creepmas!